It’s that time of year again! Yes, on Friday bloggers from all over will participate in the Ultimate Blog Party 2012, or UBP12 for short. The ladies at 5 Minutes For Mom are inviting everyone to participate and share memories from past UBPs. 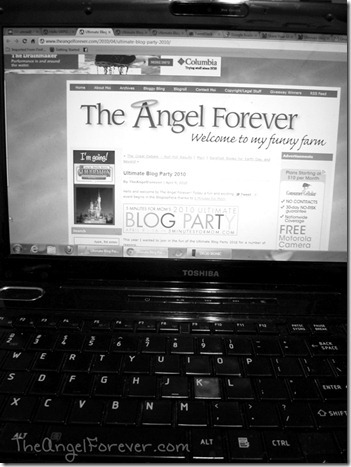 I know I have been participating in the Ultimate Blog Parties for quite some time. I think I found them five years ago when I was very pregnant with my youngest son. It was a fun way to get to know new bloggers. Of course, as social media increased over the years, so did the number of people participating. In 2010, the party had extra special meaning to me. It was the year that I really got into the spirit. 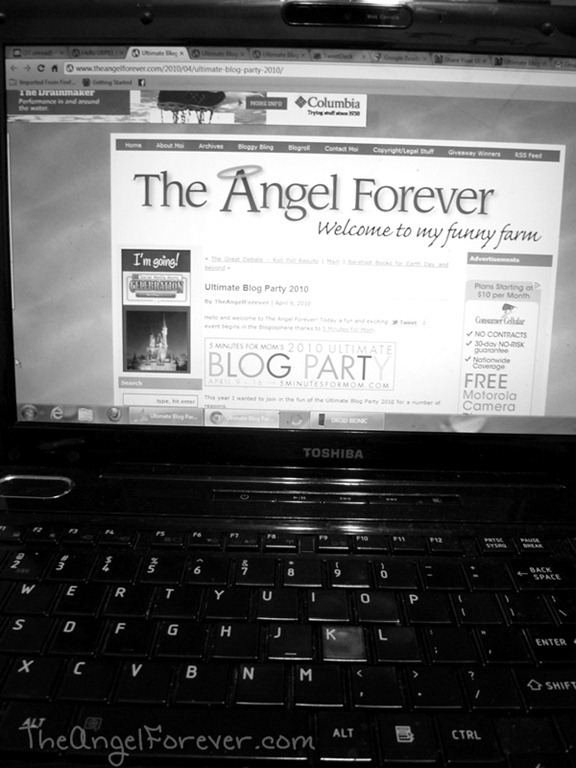 I wrote my Ultimate Blog Party 2010 post, did lots of blog hopping, participated in Twitter events, and more. I had taken the year before off because of so many things going on at once. It felt great getting back into the swing of things. I had a great time meeting new friends and even wrote about it for the After Party celebration. Of course, I would be lying if I didn’t mention that the 2010 party also is special to me for another reason. You see, I am sitting here typing away my post on the Grand Prize from that event. YES – I was the winner! Of course, the way I found out was pretty funny. I had gone to sleep early that evening because I was not feeling too well. I knew that the party was ending that evening, but was too tired to follow along. I fell asleep, but when TechyDad went to go to check on one of the boys, I heard a text message (used to get Tweets via SMS messages) come to my phone. By this time, it was very late. Then, before I knew it my phone kept beeping, beeping, and more beeping. The Tweets were coming in so quickly that I could not even stop to read any of them. I had TechyDad check on his computer to see what was going on. That is when I read everyone congratulating me. The timing on this prize could not have been better as my old laptop was dying. It was so nice to have the new Toshiba. My laptop has now gone with me to BlogHer, Disney Social Media Moms Celebration, SheStreams, and beyond. So many memories and many more to come as I get ready for The Ultimate Blog Party 2012 – thank you 5 Minutes For Mom for another fun party starting later this week. 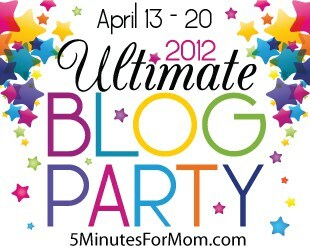 Will you be participating in the Ultimate Blog Party 2012? I hope to see you there! For more details, click on the button from 5M4M above. Disclaimer: I wrote this post because it was a lot of fun to participate while getting ready for the Ultimate Blog Party 2012. In addition to this, there is a possible prize via Rafflecopter for sharing my UBP story.